A clock rate of 2,940.0 MHz has been recorded for a customized GeForce RTX 2080 Ti graphics card. The hardware was specially prepared as part of the Galax OC Gathering 2019. The incredible clock rate was measured as part of a GPUPI 1B benchmark test, which also resulted in the system achieving a very credible mark of 2 s 691 ms.
A GeForce RTX 2080 Ti graphics card has been benchmarked operating at a speed of 2.94 GHz, bringing it whisker close to the 3 GHz barrier. 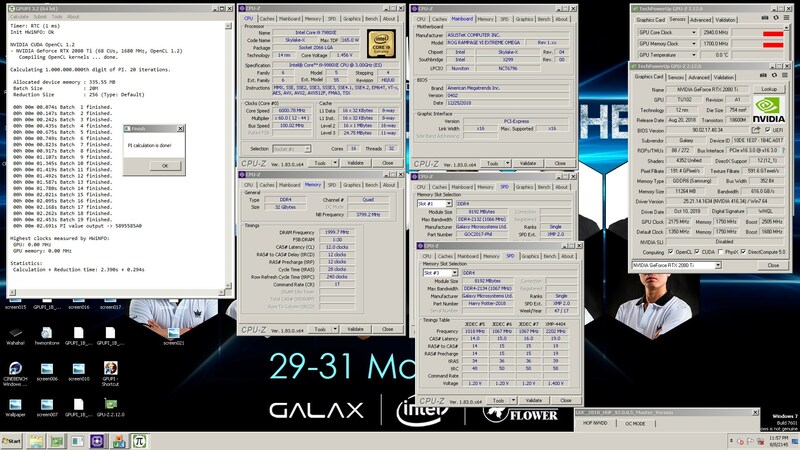 On a system put together by the overclocking specialist OGS, the card was put through its paces with the complex GPUPI 1B test, which uses a GPU to calculate pi to the billionth place. The system featured the aforementioned RTX 2080 Ti and a Skylake i-9 9980XE CPU. 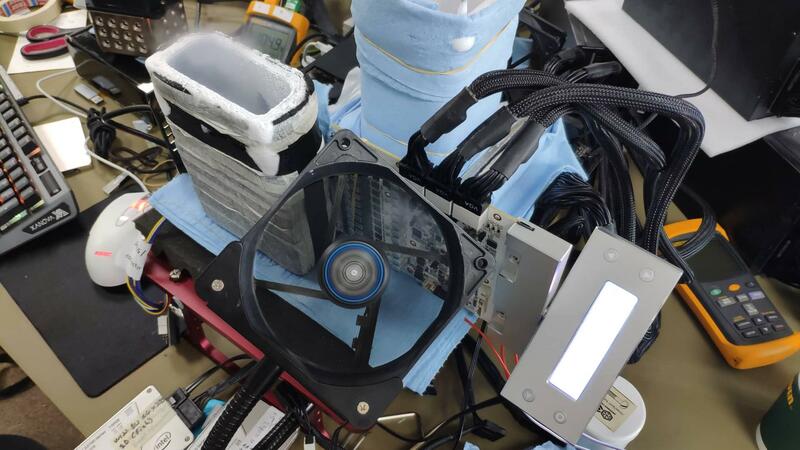 Liquid nitrogen cooling was provided for the graphics card, which was a special Galax Hall of Fame model that was prepared for the overclocking event. The Galax edition of the graphics card managed to achieve a number of impressive results during the event. Although Titan V graphics cards have scored faster times in the GPUPI test (the record for a single GPU is 2 s 559 ms), this benchmark was more about revealing the potential clock rates of an overclocked GeForce RTX 2080 Ti. Currently, it is the fastest GPUPI time and highest clock frequency recorded for this particular Turing-based Nvidia product.